The Video Commerce Cloud (VCC) empowers you to manage, track, and commission your ambassadors. Commission is generated on actual sales from content created and published by your ambassadors. A shoppable TV Page is automatically published for every posted video and photo. Your ambassadors use the VCC to share their content and associated links across their social channels. 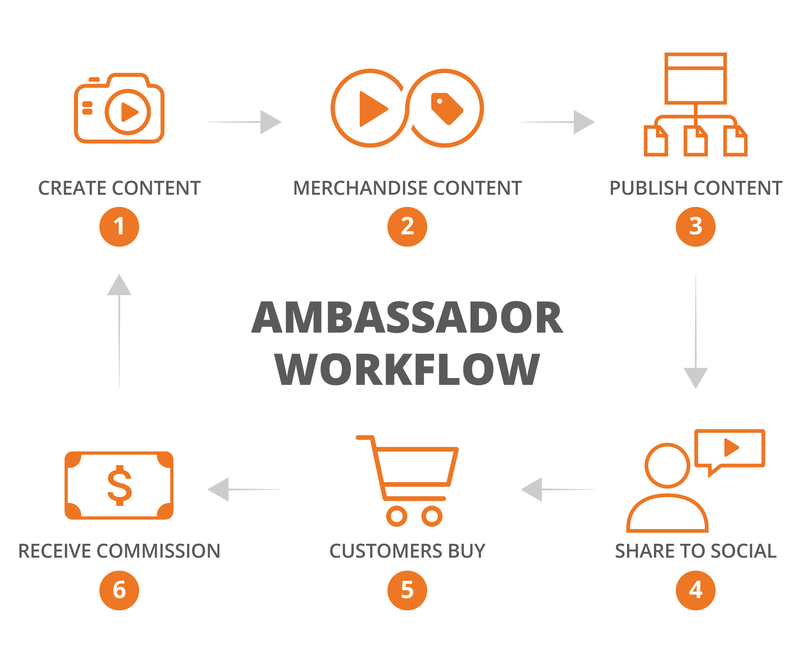 All traffic from this new engagement (video views, photo views, and product clicks) is tracked and ambassadors receive a commission on sales generated from shoppers who watch and buy, at the percentage you set on the dashboard. Set any commission percentage you’d like, on a per ambassador basis. Where more than one ambassador's asset influences a sale, the ambassador with the most recent engaging event prior to the transaction will qualify for the sale. 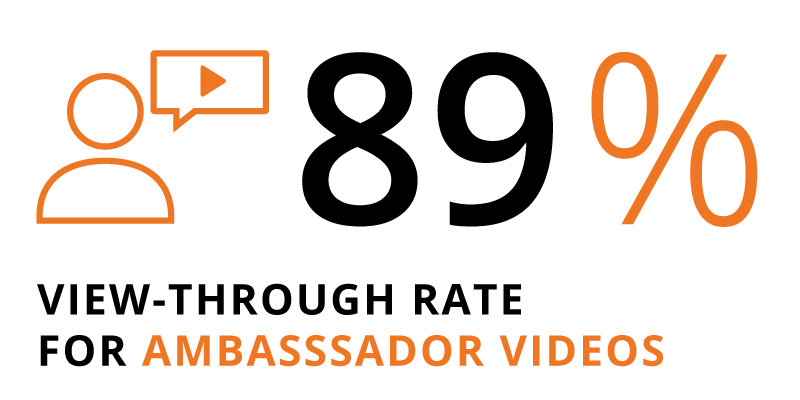 Unlike traditional affiliate marketing, the VCC is able to measure sales resulting from actual engagement with the content, regardless of how the shopper purchased after engaging with the ambassador content. A consumer may or may not purchase the product from clicking on an affiliate link (estimated to occur only 10-20% of the time). In most cases, a product page is accessed from Google search, on-site search, and other navigation from the homepage/category pages/links. What matters is whether the content was consumed, not which button was clicked to order the product. The VCC follows all paths to conversion because it serves the first party shoppable video/photo experience, yielding both new engagement and a more complete picture of the digital sales funnel.